What is your present home worth? 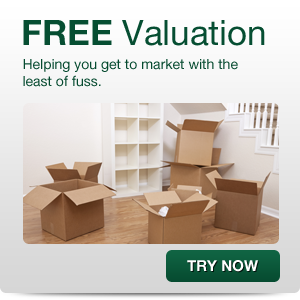 It is advisable to get a free market valuation to give you some idea of what your property is worth. You should then put your property on the market. There is nothing worse than falling in love with a property only to find it is out of your price range. How much can you borrow? Meeting with our Independent Mortgage Advisor will help you to calculate your budget and begin the process to put your finances in place. What property is for me? Register your new home requirements with us so that we can match you with suitable properties as soon as they come onto the market. What do I do when I find a property? Contact us so that we can put forward your offer. We will negotiate between you and the vendor. What happens when my offer is accepted? Once a price has been agreed you will need to instruct solicitors to act on your behalf. We can recommend solicitors for you to use. What happens now? The conveyancing process is now underway. We will coordinate this for your by keeping in contact with solicitors, other agents and any other parties in the chain to ensure that things run smoothly. Your solicitor with make enquiries once they have a draft contract from the sellers solicitors. They will also conduct local searches and will agree dates for exchange and completion. How do I know that my new property is in good order? When your finances are applied for you will be required to have a survey carried out. You can see the different types of surveys under our surveys tab. Once the mortgage company is happy with the results of the survey you will be issued with a mortgage offer. You will need to read, sign and return this offer. What happens next? When all enquiries have been answered and your solicitor is happy with the answers you will be asked to sign contracts. At this point deposits are paid, contracts are exchanged and a completion date agreed. You are now legally obliged to purchase the property. When do I move in? On the day of completion your solicitor will transfer the balance of the purchase price to your sellers solicitors. When the solicitors are happy that the money has been deposited we, as the selling agent, will be instructed to release the keys.